Charleston style indoor/outdoor round wicker end table with optional glass top. Versatile wicker table that can be used along side chairs or between seating groups. Strong aluminum frame covered with top grade resin wicker woven and wrapped for an elegant design. 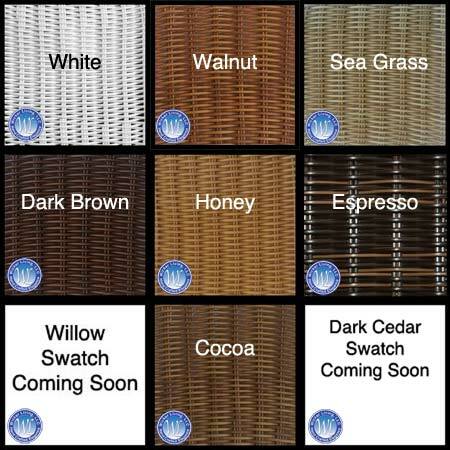 Available in the ever popular white wicker along with many other selections.